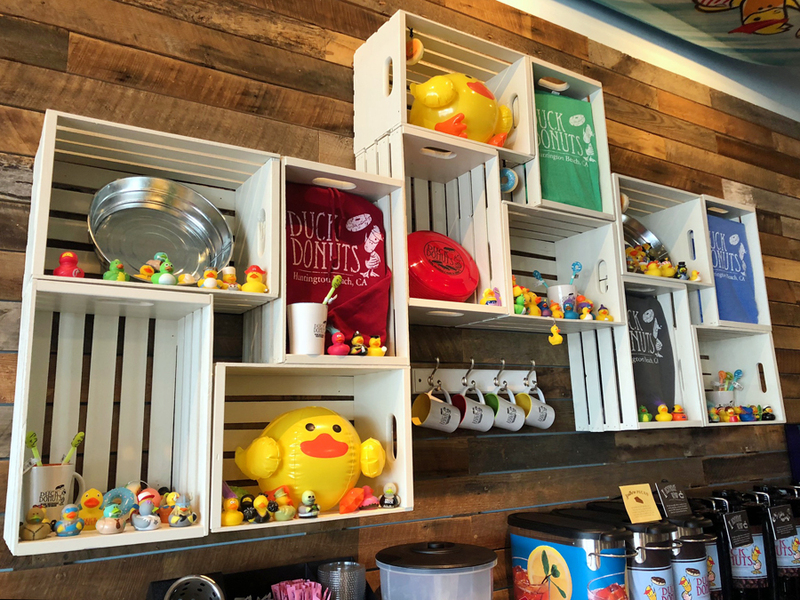 DUCK DONUTS HUNTINGTON BEACH + 2 GIVEAWAYS! 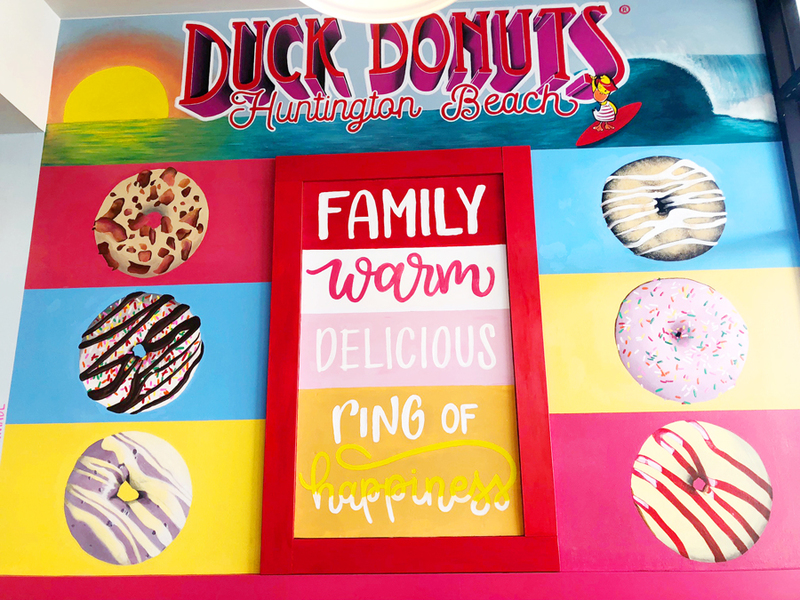 Welcome to Huntington Beach Duck Donuts, the NEWEST HOT SPOT in town! We’ve been waiting for you! 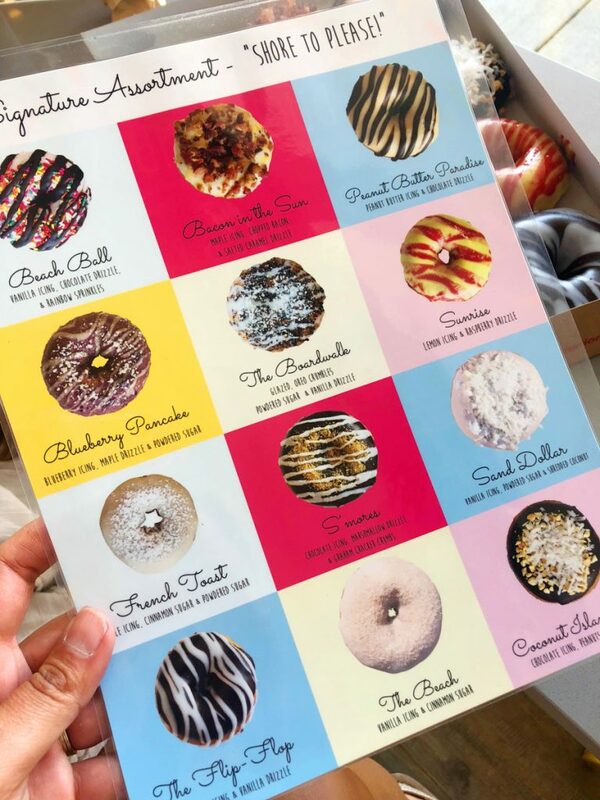 Look no further for the FRESHEST donuts you can find. 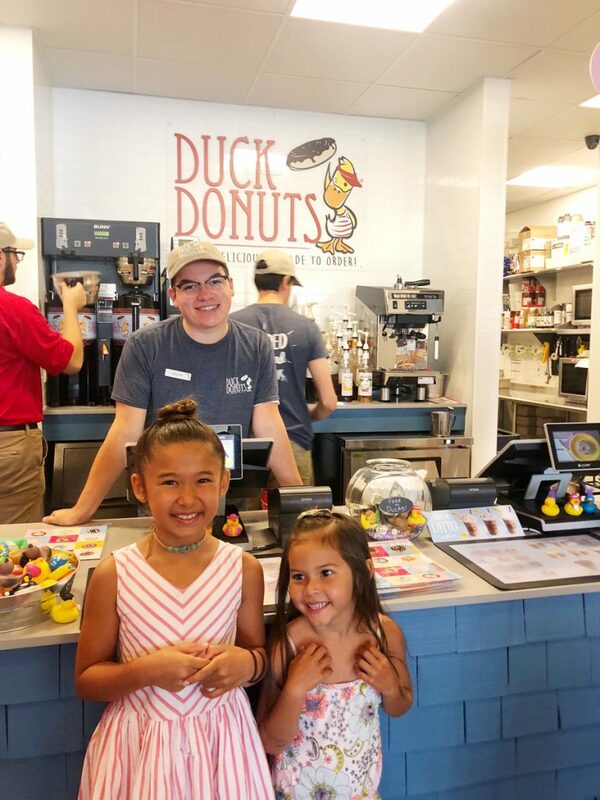 Duck Donuts Huntington Beach provides you with MADE-TO-ORDER donuts fried on the spot. 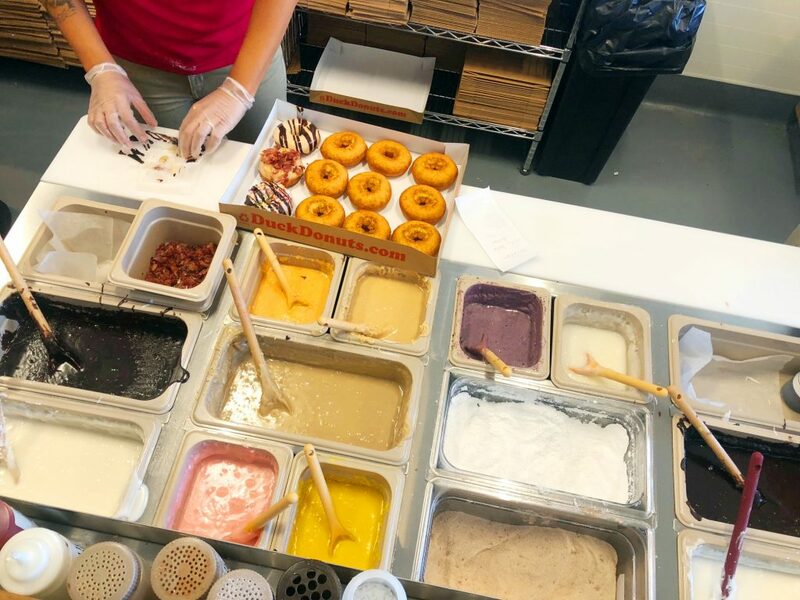 Each donut is dipped in ooey gooey warm icing then generously covered in the yummiest toppings on the planet! 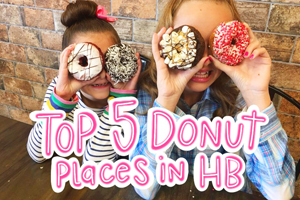 Some of their signature donuts include a Maple Iced Donut with Chopped Bacon, a Fresh Blueberry Iced Donut with Powdered Sugar, a Smores Donut, a Peanut Butter Iced Donut with Oreo & Hot Fudge Drizzle and so much more! We can’t wait to try them all! 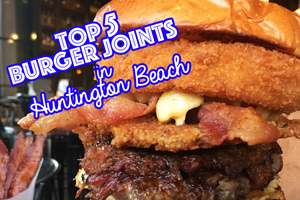 Check out their NEW STORE at 5 Points in Huntington Beach open 6am-9pm everyday! And be sure to SCROLL to the bottom of this post to ENTER TO WIN 2 DOZEN DUCK DONUTS! Woohoo! 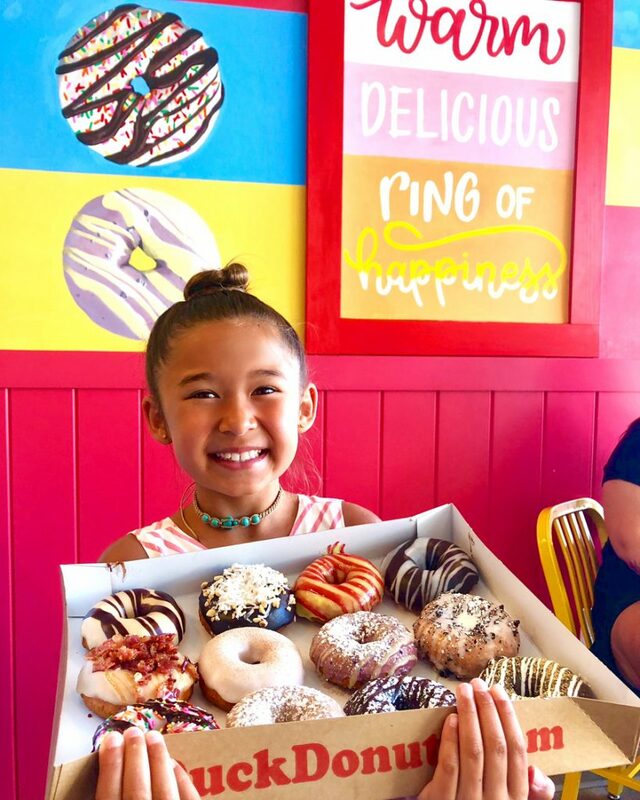 Check the cutest little donut shop in town! Loving all the duckies! Order up! Thier “Signature Assortment” includes some of our favs… Peanut Butter Paradise or a Flip Flop please! Always fried on the spot and iced to order. Aren’t they GORGEOUS?? 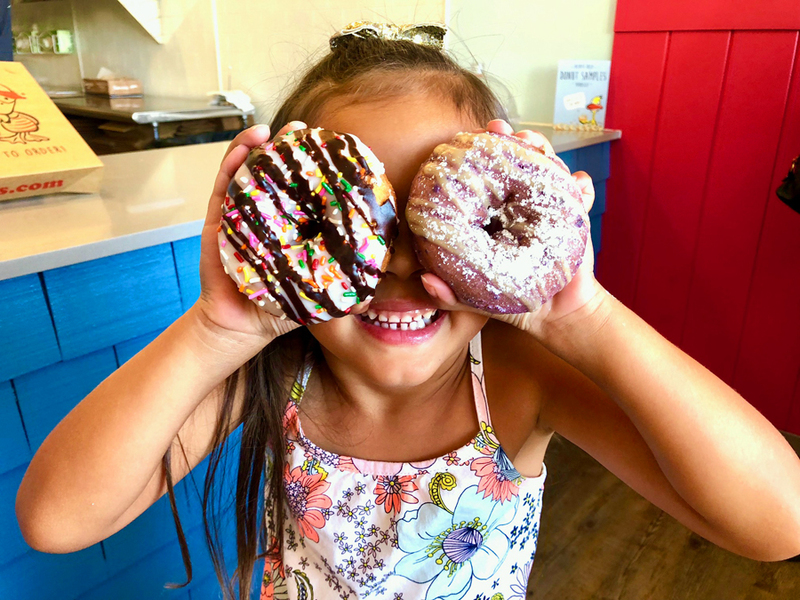 We only have eyes for you DUCK DONUTS! GIVEAWAY TIME! 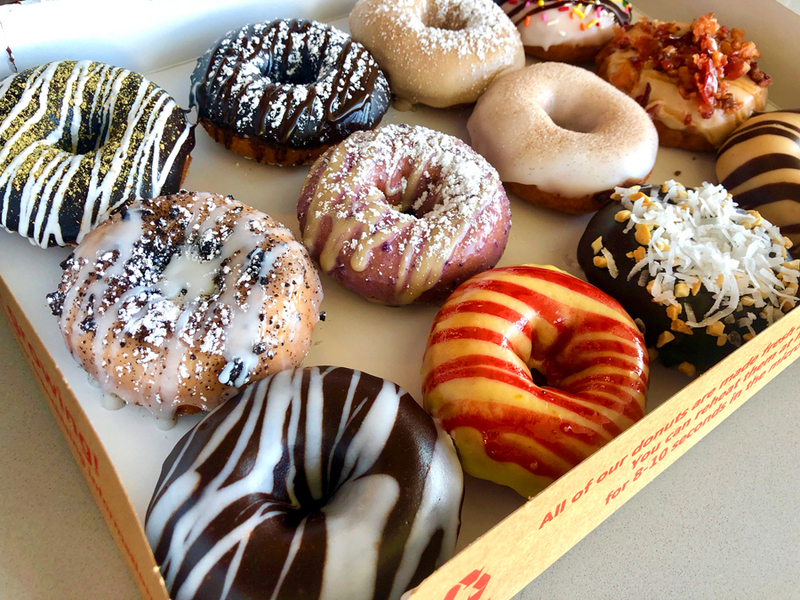 WIN 2 DOZEN DUCK DONUTS 2 WAYS! Head to our INSTAGRAM GIVEAWAY HERE, like us and tag some friends for as many entries as you want to win 2 DOZEN DONUTS! Details are in the post. OR head to THIS FACEBOOK Post for a chance to win ANOTHER 2 DOZEN DONUTS! Details are in the post. GOODLUCK! 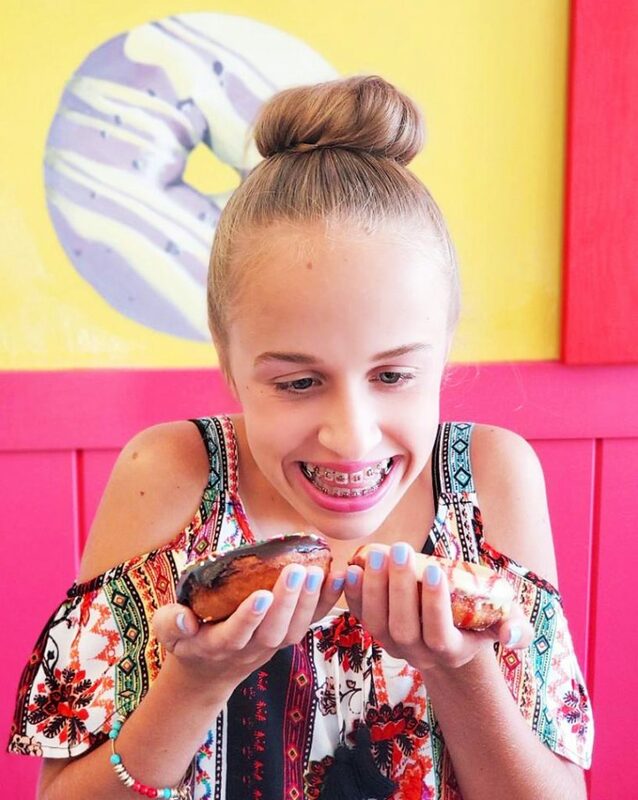 If you win we expect an invite to the Donut party! Woohoo! « 5 FUN things for FAMILIES to do at the VANS US OPEN OF SURFING in Huntington Beach July 28- Aug 5, 2018! Had our first Duck Donuts today and they were amazing. We’d love to go back for more! That bacon and maple was mmmmmmmmm! These donuts looks delicious! Can’t wait to visit! You will love them! 💕💕💕 thanks for following us! I llove this place. Warm donuts are the best. Had peanut butter with marshmallows drizzle. I died. Duck Donuts are the BEST. Hands. Down. love this little spot. I’ve gotten my family and coworkers ADDICTED!